Good images on a website are vital for keeping a visitors attention and bring a website to life, often breaking up pages that would otherwise be just text. For many new website owners, finding suitable good quality images to use on your website can be a problem. Especially if a new business, and you have not built up a big portfolio of projects or photographs. 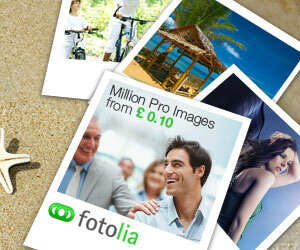 By far, the best place to search and buy web quality images to use on your website is Fotolia. This website has a huge array of stock images you can buy to legally use on your website. There is no monthly commitment, you simply add credit, and buy images as you need them. To use Fotolia, simply browse for the image you want. Several pages of results will usually appear. You can click on an image to preview it , and view the prices. Make sure you are viewing the ‘ON DEMAND’ prices. Fotolia will usually default to the MONTHLY PACK price. So change this so you see the price per image. Once you have added your initial credit, you can download and save images one at a time if you need to. What size images should I buy? In most cases, Medium size images will be fine for use on your website. This will allow for your images to be used to fill wider areas on the page, or reduced in size for smaller sections. If you want an image to fill the full screen, for example as a web background then you’ll need a Large. Images can vary in price for the same size – so you may find some are cheaper than others. Be careful not to purchase video files as these can be expensive and can’t always be used on your website. Remember, the images you use can also be used elsewhere on the site or for other online marketing such as Facebook or Twitter images – so need not be limited to use on one page. For example, you may buy one image for each of your 5 website pages, but each of these could also be used on a slide show on the home page. Save your images to your computer as a direct download to use yourself, or email to your website designer if required. Click on the image below to go to Fotolia and buy your images online.